Nouakchott, Mauritania 01 July 2018- The supreme organ of the African Union, the Assembly, which comprises Heads of State and Government of all the 55 African countries, has begun its 31st ordinary session. The Assembly meeting is the culmination of the statutory meetings and was preceded by the meetings of the Executive Council and the Permanent Representatives Committee. Among the responsibilities of the Assembly are to, receive, consider and take decisions on reports and recommendations from the organs of the Union; monitor the implementation of policies and decisions of the Union, as well as ensure compliance by all member states; and give directives to the Executive Council on the management of conflicts, war and other emergency situations. 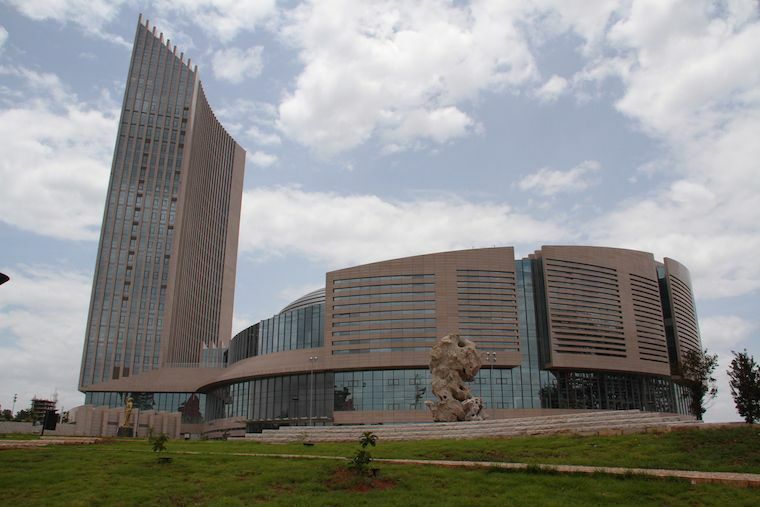 In this regard, the Heads of State and Government will receive several reports including the status of the implementation of the AU Institutional Reforms to be presented by President Paul Kagame of Rwanda who is the current chair of the African Union and the champion for the AU Institutional Reforms process; President. Mamadou Issoufou of Niger will report on the status of the African Continental Free Trade Area (AfCFTA) which has been signed by 44 countries and ratified by Kenya, Ghana, Rwanda and Niger ith he expectation that several countries will sign on to the agreement as well as ratify the AfCFTA during the Summit. The Chairperson of the African Union Commission Mr. Moussa Faki Mahamat will present reports on the issue of Western Sahara as well as a report on the African Common Position Post 2020. Reports on Peace and Security on the continent will also be presented to gauge the progress made in reducing armed conflicts on the continent in line with AU master roadmap of practical steps towards Silencing the Guns which is one of the key projects of Africa’s Agenda 2063. While making his opening remarks, President Kagame commended the efforts made in the planning of the 2019 budget of the African Union which resulted in a reduction of 12% in the budget compared to 2018. President Kagame remarked that, “The African Union has applied the ‘golden rules’ and adopted the most credible and transparent budget in our history.” The Heads of State and Government will consider and adopt the 2019 budget of the AU following recommendations of the ministerial level Executive Council, which met from the 28th to 29th of June. The Summit is being held under the 2018 theme of the year “Winning the Fight Against Corruption: A Sustainable Path to Africa’s Transformation. The Mauritanian President, Mr. Mohamed Ould Abdel Aziz underscored the importance of the theme, saying, “Winning the fight against corruption is a prerequisite for our progress and prosperity”. A panel discussion led by President Muhammadu Buhari of the Federal Republic of Nigeria and the champion of the 2018 theme will take place at the Summit and it aims to evaluate the progress made in fighting corruption and developing new strategies to curb the vice. The Assembly was addressed by the UN Deputy Secretary General Ms. Amina J. Mohammed who remarked that the AU and UN are working together successfully across the continent with Africa firmly in the lead and there was a need to do more to strengthen the partnership. The Assembly was also addressed by Mr. Ahmed Aboul Gheit, Secretary General of the Arab League and Dr. Riad Malki Minister of Foreign Affairs of the State of Palestine who made a statemen on behalf of the President of Palestine Mr. Mahmoud Abbas representative of the leader of the State of Palestine. A summary of the key decisions of the Assembly will be posted on www.au.int soon after the close of the summit.